Deadpool will break the fourth wall when you start off your morning by filling these coffee mugs with hot coffee or tea! Then, an image of Deadpool will suddenly sprout a self-aware word balloon! 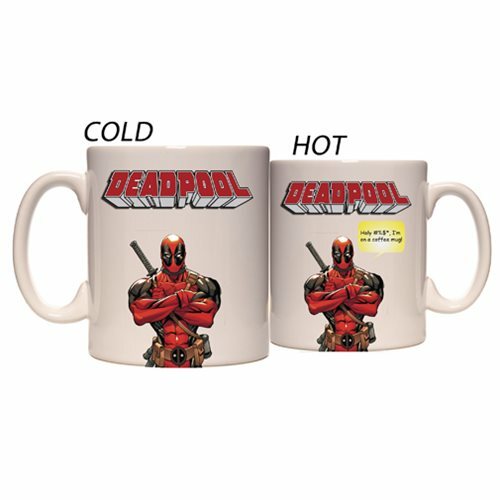 This Deadpool I'm on a Mug Previews Exclusive White Mug holds up to 12-ounces of liquid. Hand wash only. Not dishwasher safe. Do not microwave. Ages 13 and up.